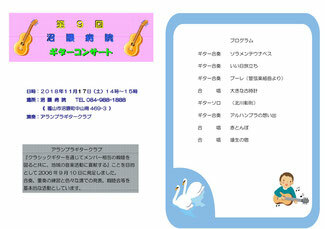 We Alhambra Guitar Club (16 members) successfully finished our visiting concert on November 17th as scheduled. The next ones are scheduled in March and May next year in 2019 with 6 music pieces added to practice and we start practicing them as soon as next week. I hope I can give my personal concerts as well.